Lucas Punkari/Daily Herald Gage Grassick looks to pass the ball to Carlton Crusaders teammate Hannah Walker during a game against the Swift Current Ardens last Saturday. 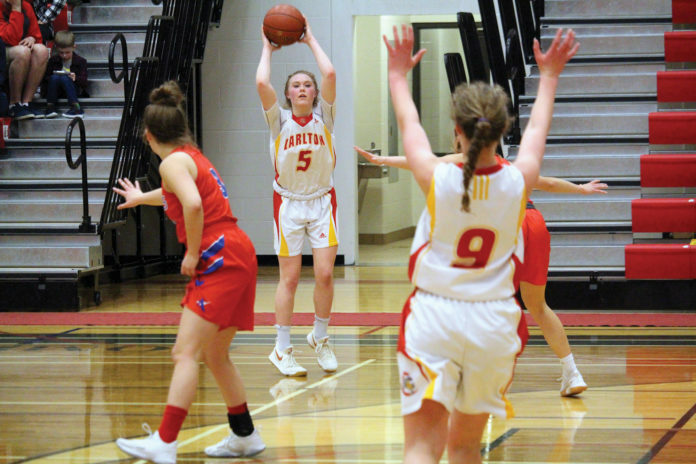 Although they won’t return to Prince Albert with a medal from this year’s Hoopla event, the Carlton Crusaders senior girls’ basketball team will have a chance to end their season on a winning note. Following a 69-61 victory over the Swift Current Ardens on Friday afternoon, the Crusaders will play in the 5A consolation final at 9 a.m. Saturday at Centennial Collegiate in Saskatoon against the Regina O’Neill Titans. “The girls did a really good job of bouncing back today,” Crusaders coach Jenn Ferguson said. The Crusaders quest for a medal ended Thursday night at Evan Hardy Collegiate as they dropped a 61-49 decision to the Holy Cross Crusaders of Saskatoon. “It was a great effort by both teams,” Ferguson said. “It was a physical game and the level of intensity from both teams was impressive. Emma Linsley had 19 points to lead the way for Holy Cross, while Gage Grassick put up 13 points for Carlton. Friday’s contest between the Crusaders and Ardens was a rematch of last Saturday’s rural regional final at Carlton, which the hosts won by a score of 75-53. “It was a little more low key than it was last week, but both teams played hard and they did the little things right,” Ferguson said. Grassick led the way with 41 points for the Crusaders, while Mackenzie McIntyre had 17 points for the Ardens. Awaiting the Crusaders in their season finale is a Titans team that defeated the Regina Riffel Royals in a 54-35 affair Friday. 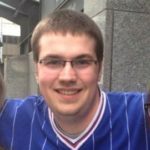 “We played them earlier in the year and got the win, but we know that they will want to finish the season with a win, so it should be a really good game,” Ferguson said.